The gold price forecast for 2018 is bullish. Many will find this hard to believe, however. The gold price per ounce has struggled to maintain its highs, which almost reached $1,350 on September 8. Undeniably, gold investors have grown frustrated. But there is good news. The most obvious is that the course of gold prices, bumpy as it has been, has been favorable in 2017. Thus, it shall continue and the gold price predictions for 2018 should be more bullish. The pattern in 2017 for gold prices has followed a simple and binary logic. Gold prices rose on signs of impending political risk, but greed has pushed them down. Greed in the sense of investor appetite for market risk. Stocks have moved way past the price of logic. This has encouraged investors to keep putting their savings in the stock market. In addition, concerns about rising interest rates have done little to stem the rise of stocks. They have also prompted expectations for a rising U.S. dollar. When the dollar moves higher, gold tends to suffer. But Donald Trump has appointed a new head central banker to serve as Chair of the Federal Reserve, who might be less inclined to lift interest rates. The economy and the actual growth rate (as opposed to the figment of hopes) will dampen enthusiasm for higher interest rates. More importantly, the political risks that pushed gold beyond $1,300 on more than one occasion in 2017 will intensify in the new year. How High Can Gold Rally in 2018? Gold price projections for 2018 have not been especially enthusiastic lately. 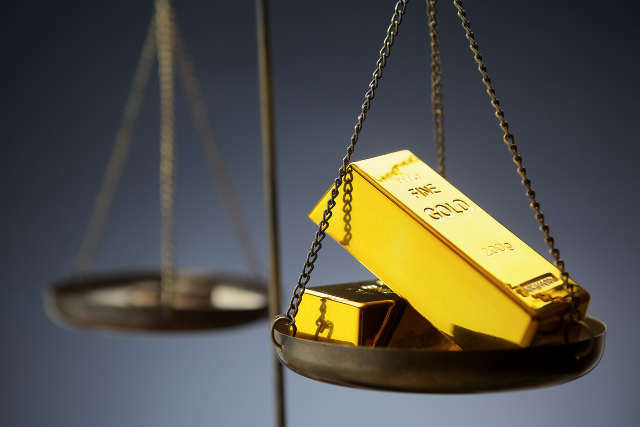 So long as the price of gold can sustain keeping above its current psychological barrier—the ceiling seems to be $1,300 per ounce—precious metal investors will remain hopeful. The problem is that the appeal of fast profits on Wall Street has become difficult to resist. For every time investors realize that the concept of risk has not become extinct, the promise of profits in bright lights on Wall Street encourages them to act as the financial manifestation of Evel Knievel. That’s hardly an exaggeration, even for a pun. You have to ignore stunt-performer risk levels to believe that the stock market can sustain the Dow at past 23,000 without producing a correction soon. The new penchant for risk has played tricks with the gold forecast for 2017. But it has also done the same with the apparent strength of the dollar. The below gold chart clearly shows the peaks-and-valleys pattern of prices in 2017. It’s doubtful that this can continue for much longer. It’s even more doubtful that the financial markets can keep up the current level of optimism. A black swan event is lurking. We don’t know when it will come or what form it will be—otherwise it would not be a black swan. There are black swans every day, of course. Individuals experience unexpected life-altering events all the time, for better or worse. These black swans affect us in different ways, depending on our situation in life. Thus, for example, if you have been struggling all your life with an average income and you win the lottery, your life will change drastically. If you’re already a millionaire, adding one more bag of dollars to your collection won’t change a thing. But, if you should suddenly lose your wealth for whatever reason, your life will change for the worse. You may have understood where I’m going with this. The market is flying too high, and the next unforeseen event could send it crashing hard. That unforeseen event may already have happened. It’s Tesla Inc (NASDAQ:TSLA). To suggest that Tesla stock bombed its third-quarter results would be an understatement. What’s more, Tesla wasn’t even on the same plane as the bomb. But, for months, Tesla has been one of the darlings of Wall Street, an apparent machine to generate profits. The one caveat in this analysis is that these profits will come in the future. But, when the future comes knocking, the results are a loss of almost $3.00 a share—for the quarter. Meanwhile, mega-problems at the pretentiously named “Gigafactory” with battery production have hurt production of the “Model 3” car. Musk said the company had to rewrite years’ worth of software code in a mere 20 days. Well, that sounds like a massive problem ahead. Why are we discussing Tesla in a gold price article? Tesla stock is a microcosm—or the one-stock representation, if you prefer—of the stock market as a whole. It moves higher on smoke and no roast. When the time comes to deliver the “beef,” Tesla puts out more smoke. The entire stock market is doing that. But, as Goldman Sachs Group Inc (NYSE:GS) itself has admitted, stocks might be at their highest level ever. But has anyone even noticed? It seems that investors are reveling in paying more for a stock. It makes them feel safer, grander, more like cigar-smoking and brandy-sipping big shots in the tea room of the Titanic. Indeed, the Titanic might be the best metaphor for the current stock market. It’s the grandest ever ship floating around confidently, not aware of the risks that lie below or of its incredible vulnerability. The iceberg that could puncture the weak market might be Tesla, or it might materialize from an external risk. 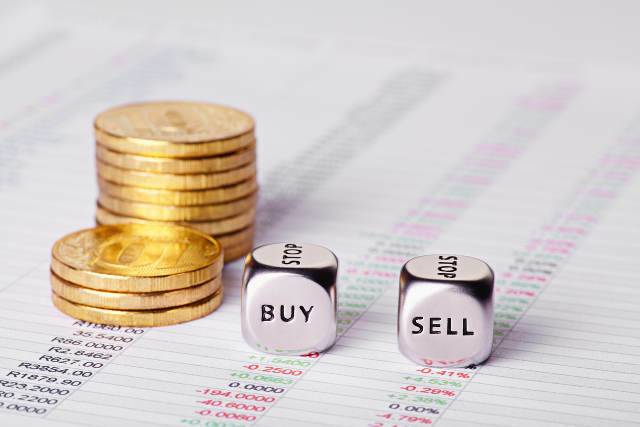 Indeed, the scenario is ideal for the gold market or gold trading. Risks are rising everywhere, but one of the typical bullish developments for gold prices derives from geopolitical risk. In 2017, gold prices have responded favorably when geopolitical tensions increase. The nuclear crisis involving North Korea and its regime’s apparent intent on building a nuclear explosive device has helped gold pass the $1,300 mark at various points in the past few months. Leader Kim Jong-un appears to have recently softened his tone, likely under pressure from China. Beijing would rather avoid having any regional power in its backyard acting in such a way as to attract American intervention. Then there’s the Iran deal. Trump has not yet pronounced his words clearly on the subject. But, pulling out of the deal, as the president seems intent on doing, would only help fuel tensions in the Middle East. Therefore, the potential for geopolitical chaos is more of a probability than a mere possibility. In such situations, the stock markets suffer, but this is no ordinary market. It’s a market stretched to the limit, which makes it weak and vulnerable. It’s not hard to see how gold has clearly returned as the safe-haven investment. 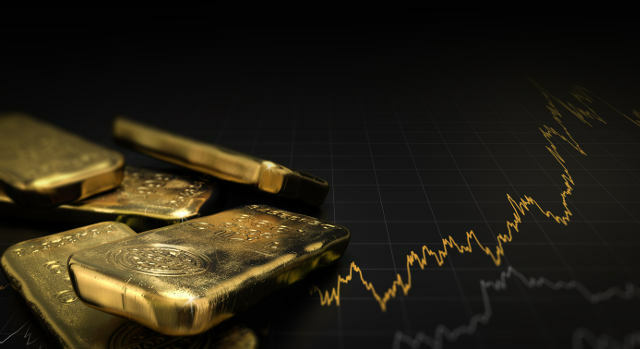 Far from being relegated to mere decorative metal, physical gold or gold mining stocks could still represent the safer alternative to the stock market. Moreover, the dollar has not risen especially. Despite Janet Yellen’s suggestions that interest rates could rise three times in 2018, there was a certain absence of dynamism or momentum. Now that Trump has confirmed that Jerome Powell will be the new Fed Chair, the interest rate hikes could be fewer and the dollar will lose whatever technical momentum it had left. For its part, the euro is also dropping amid an unprecedented crisis involving Spain and the separatist aspirations of Catalonia. This could be a much bigger test for the eurozone than the Brexit referendum or the French elections. It could spark a long-lasting internal tension in Spain, which could even erupt in large-scale violent conflict. As things stand now, the existing risk levels are high, but the perception or understanding of such risks is low. All things being equal, the gold market should already be more bullish. Prices should not regularly fall below the floor of $1,300 or even $1,350 per ounce. Investors are counting on the Trump tax cuts that won’t come. Or at least, they won’t come in as dramatic a way as originally expected. Certainly, if they do, the Fed will have to halt any plans to raise interest rates because the payment of the U.S. debt would become prohibitive (as it would for U.S. households trying to pay off their massive debts). Investors will remember that, if all that shines is not gold, sometimes it’s the only thing that shines when everything else around is loaded with risk and uncertainty.